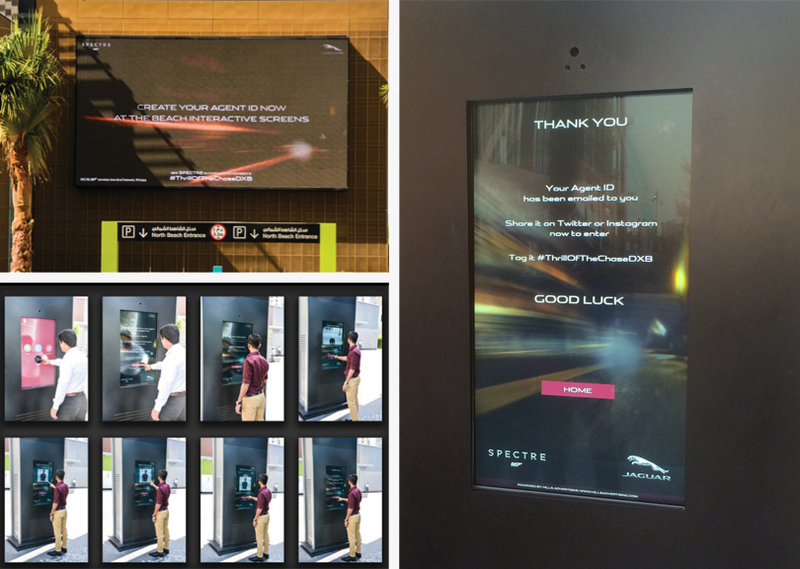 Jaguar Land Rover wanted a mass awareness campaign to highlight their partnership with James Bond for the release of SPECTRE, so I worked on this social media competition with Create Media Group, giving people the a chance to win a Jaguar at the Dubai International Motor Show. 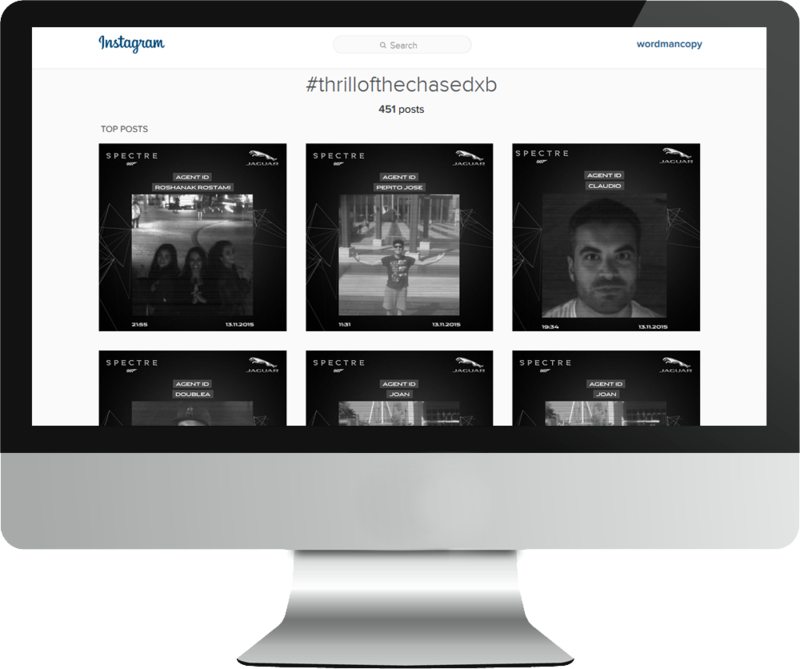 This invited people to create an “Agent ID” and share it on social channels with the hashtag #ThrillOfTheChaseDXB. There were selfie stations at tourist hotspot The Beach, where people could create their Agent ID on site, with new uploads showing on a mega screen to generate more of a buzz. I wrote the copy overlay for these videos which ran on Facebook and Twitter throughout the duration of the campaign. 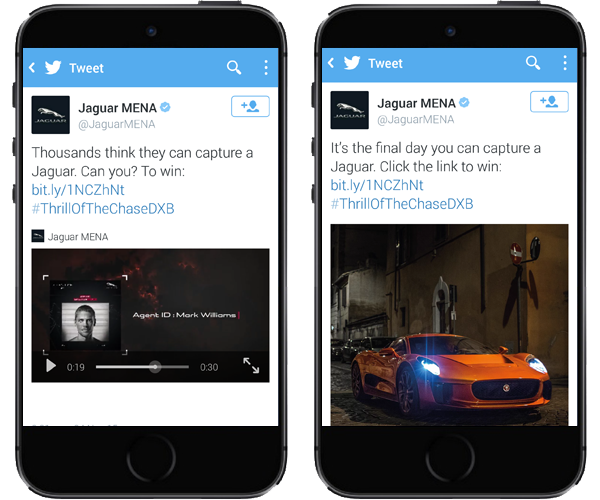 I also wrote some Twitter and Facebook posts for the Jaguar MENA social channels to keep promoting the competition. And a simple but direct 30 second radio advert that played on Dubai’s biggest stations during the week the campaign ran.